Yet the outsized influence of the .00001% doesn’t threaten democracy, he said, as long as a fellow billionaire thinks those big donors have the right intentions. Koch appeared with his brother David on MSNBC’s “Morning Joe” this week as part of a PR blitz to soften the Koch brothers’ image ahead of the 2016 elections, where the Koch network plans to spend $250 million on direct electoral activities and a total of nearly $1 billion on broader political work. HARRISBURG >> It’s no secret that Harrisburg is a hive of lobbyists, each representing industries and interests that spend millions to persuade state lawmakers to bend laws in their favor. But perhaps what makes the charter-school lobby unique among the pack, says State Rep. Bernie O’Neill, a Republican from Bucks County, is its ability to deploy children to its cause. In 2014, O’Neill experienced that first hand after proposing changes to a funding formula that would affect charter schools. Parents and children stormed his office and barraged him with calls and emails. In recent years, as charter schools have proliferated — particularly those run by for-profit management companies — so too has their influence on legislators. 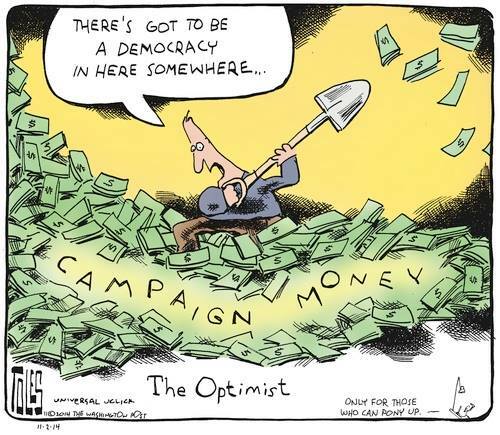 In few other places has that been more true than Pennsylvania, which is one of only 11 states that has no limits on campaign contributions from PACs or individuals. According to a PennLive analysis of donations on Follow The Money, a campaign donation database, charter school advocates have donated more than $10 million to Pennsylvania politicians over the past nine years….